direct correspondence or to deliver services you have requested. Please rest assured this site site shall only collect personal information that you knowingly and willingly provide by way of surveys, completed membership forms, and emails. It is the intent of this site to use personal information only for the purpose for which it was requested and any additional uses specifically provided on this site. Governor Wallace Rider Farrington High School may have the occasion to collect anonymous demographic information, such as age, gender, political affiliation, race and religion at a later time. We may also gather information about the type of browser you are using, IP address or type of operating system to assist us in providing and maintaining superior quality service. Governor Wallace Rider Farrington High School may collect and may make use of personal information to assist in the operation of our website and to ensure delivery of the services you need and request. At times, we may find it necessary to use personally identifiable information as a means to keep you informed of other possible products and/or services that may be available to you from FarringtonHighSchool.org. 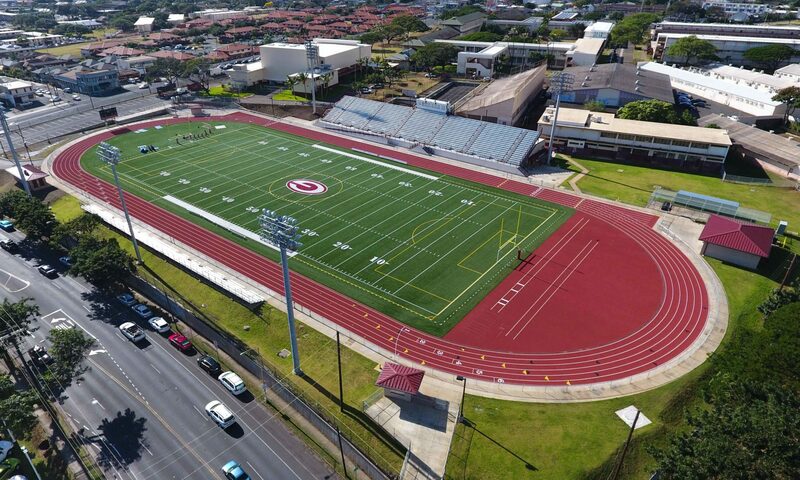 Governor Wallace Rider Farrington High School may also be in contact with you with regards to completing surveys and/or research questionnaires related to your opinion of current or potential future services that may be offered. Governor Wallace Rider Farrington High School does not now, nor will it in the future, sell, rent or lease any of our customer lists and/or names to any third parties. Governor Wallace Rider Farrington High School may deem it necessary to follow website and/or pages that our users may frequent in an effort to gleam what types of services and/or products may be the most popular to customers or the general public. Governor Wallace Rider Farrington High School does not knowingly collect personal identifiable information from children under the age of thirteen (13) without verifiable parental consent. If it is determined that such information has been inadvertently collected on anyone under the age of thirteen (13), we shall immediately take the necessary steps to ensure that such information is deleted from our system’s database. Anyone under the age of thirteen (13) must seek and obtain parent or guardian permission to use this website. All users and/or visitors to our website have the option to discontinue receiving communication from us and/or reserve the right to discontinue receiving communications by way of email or newsletters. To discontinue or unsubscribe to our website please send an email that you wish to unsubscribe to fhsweb @ farringtonhighschool.org . If you wish to unsubscribe or opt-out from any third-party websites, you must go to that specific website to unsubscribe and/or opt-out. Governor Wallace Rider Farrington High School shall endeavor and shall take every precaution to maintain adequate physical, procedural and technical security with respect to our offices and information storage facilities so as to prevent any loss, misuse, unauthorized access, disclosure or modification of the user’s information under our control.